If you need a bail bond for Pasadena, South Pasadena, or anywhere in California, we can help. Bail can be a simple process if you use a competent bail bond company. Our company has over four decades of experience with Pasadena Bail Bonds. You can call us at locally at 818-348-8551 or toll-free nationwide at 888-224-5266. When you call us, we will handle everything. You probably won’t even need to leave your house. With today’s technology, we can often transact the entire bail bond process by phone, fax or e-mail. 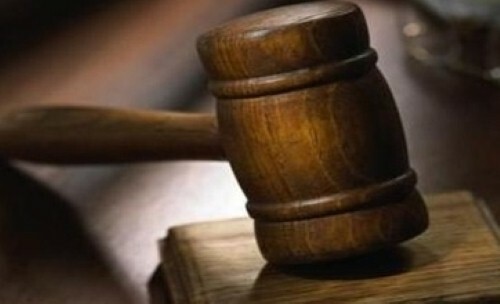 The amount of the bail will be in accordance to the severity of the offense and is intended to be substantial enough to ensure appearances for court dates. You may take the full amount of the bail to the jail or they may utilize a bail agent for a fee of 10% of the bail. After the bail bond has been filed, the defendant will be released on the promise that they will appear in court as required. 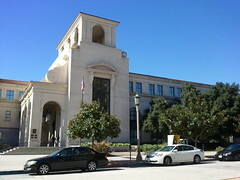 This may be a Pasadena court or other California court location. It is important to understand that if you are bailing someone out of jail, you are undertaking the responsibility to make sure that the individual will appear in court. If they fail to appear, the full amount of the bail becomes payable by you. This means that any collateral such as cash, title or real property that has been presented as security can be kept. Uncertain of how to proceed? We are available to answer your bail bond questions: 888-224-5266. We offer additional photos of the Pasadena police department here. Pasadena inmates cannot receive incoming phone calls. The jail will usually limit visits to inmates. Bail bond agents, attorneys and clergy generally have 24 hour access. Others may visit the jail 1pm to 3pm, daily.